Before more people join the urban and suburban gardening movement, a warning should go out that growing fresh vegetables and herbs, lovely flowers and shrubs, and gaining a sense of accomplishment are not the only favorable returns. Improved physical and mental health from the exercise and increased brain neuron growth stimulated by bacteria in the soil are also possible. Anxiety affects both the brain and the body. Muscle weakness, fatigue, headaches, and other ailments often accompany anxiety attacks. Irritability, restlessness, nightmares, and insomnia are some of the mental manifestations. An online article by Mayo Clinic staff titled: "Depression and anxiety: Exercise eases symptoms" details the benefits exercise can have on easing anxiety attacks. ". . . Research on anxiety, depression and exercise shows that the psychological and physical benefits of exercise can also help reduce anxiety and improve mood." Tending a garden is physical exertion. The bending required uses the back, legs, and abdomen muscles. A second Mayo Clinic article titled, "Exercise and stress: Get moving to combat stress" states, "One way to take control of the stress in your life is through physical activity. Being active can boost your feel-good endorphins and distract you from daily worries." Raking the garden gets the body moving by working the core, shoulders and arms, and refocuses the attention. Gardening is strenuous exercise that involves lifting bags of fertilizer, turning soil, pushing a wheelbarrow, and squatting for lengthy periods. This type of exercise strengthens the bones. As pointed out in an article published by the National Institute of Health, "Vital at every age for healthy bones, exercise is important for treating and preventing osteoporosis. Not only does exercise improve your bone health, it also increases muscle strength, coordination, and balance, and it leads to overall health." Gardening is bone density exercise, which helps restore bone health by strengthening the glutes, hamstrings, quadriceps, chest, shoulders, arms, and back. Lose weight naturally by gardening. Gardening calls on the use of nearly every body muscle. One hour of digging and pulling weeds can burn off 300 calories without the help of any diet aids. Dorothy Matthews, a Microbiology Researcher at The Sage Colleges in Troy, New York and her colleagues were cited in a recent Science Daily article as having discovered evidence that breathing in bacteria from the outdoor environment and soil has antidepressant qualities that may increase learning behavior. At the 110th General Meeting of the American Society for Microbiology in San Diego, Matthews presented research findings that showed. "Mycobacterium vaccae is a natural soil bacterium which people likely ingest or breath in when they spend time in nature." Digging and raking soil exposes gardeners to the Mycobacterim vaccae soil bacteria. The research done with mice showed those fed live M. vaccae bacteria learned twice as fast as those not given M. vaccae. "We found that mice that were fed live M. vaccae navigated the maze twice as fast and with less demonstrated anxiety behaviors as control mice," Matthews said. Gardening can quite possibly increase serotonin in the brain and improve the gardener's intelligence level. 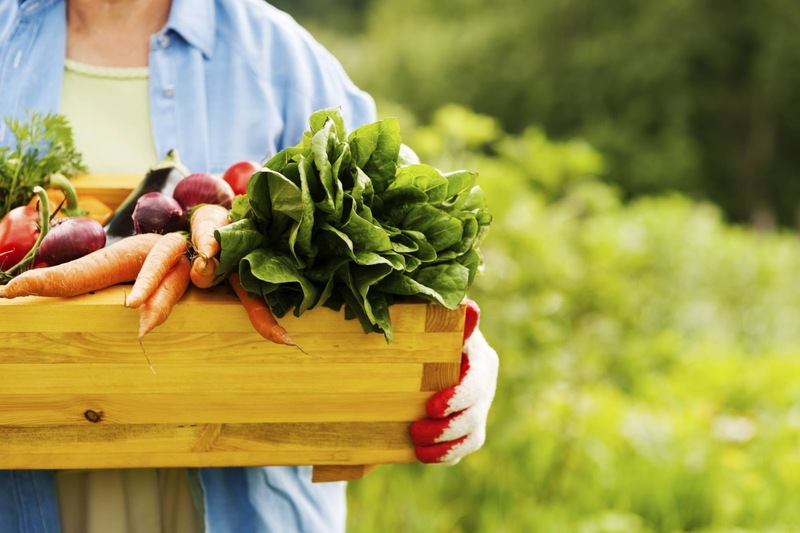 Luckily, not all gardening health benefits end with the growing seasons. Digging up the soil for the next spring or fall garden, raking leaves, composting, and engaging in other outdoor activities can increase exposure to M. vaccae.